Bogor is the most favorite city for my family. We allways goes to bogor once in a month. Visiting my parents in law is our main purpose, and other purpose is ……. culinary. Yeay!!! We are very excited to find new culinary with a good place and off course delicious dishes is a must. Kedai Kita is always be our favorite restaurant to visit. It is located in the center of Bogor, called Taman Kencana. 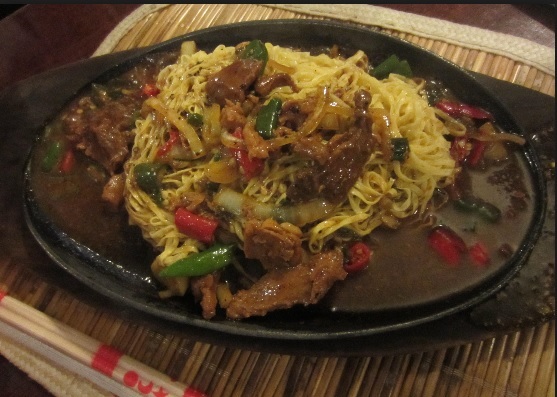 They provide the signature menu such as crispy thin pizza, beef noodle, etc. 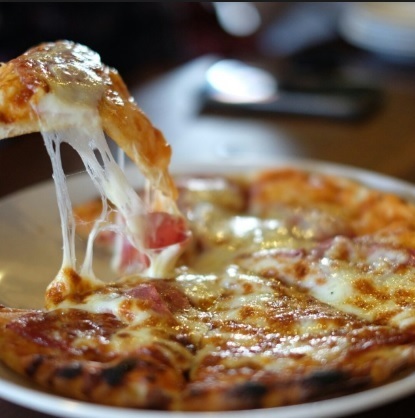 And for our family, the favorite menu is as always, crispy thin pizza with cheese. Their signature pizza is a home made pizza, made of flour and secret ingredients, which toping consists of cheddar cheese, mozarella chease, beef, and tomato sauce. The pizzas are roasted using a heated stove with fire wood. That’s why their signature pizza is different with other ussual pizza. The other signature dishes of this restaurant is beef noodle. This kind of noodle are very very tasty. Because it’s toping consists of black pepper beef. And it’s served on a hot plate. Yummy. I’m very recommend this restaurant because it is placed on strategic place, their cleanliness is well maintained, and the main thing is they serve delicious food. 4.2. Jelaskan dan berikan solusi untuk audit SI tentang pembobolan uang elektronik. Hal yang paling aman dan tepat untuk mengantisipasi berbagai modus kejahatan perbankan tentu saja dengan mengetahui berbagai perkembangan dan juga fitur yang terdapat di dalam layanan perbankan tersebut, terutama untuk yang terbaru dan paling canggih. Sehingga kita tidak mudah tertipu dengan perkembangan fitur yang tersedia. Jangan mudah tergoda dengan iming-iming uang dan hadiah yang akan membuat korban tergiur. Pastikan anda langsung menanyakan kepada call center bank yang disediakan dari pihak bank. Uang elektronik yang biasanya dalam bentuk kartu, jangan sampai ditukar atau dipindah tangankan ke orang lain.